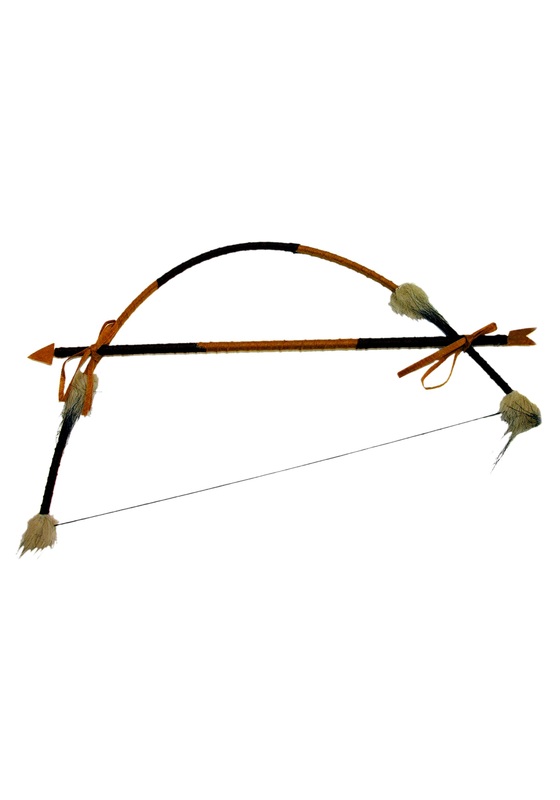 The bow and arrow is one of humanity’s oldest inventions, dating back over 64,000 years. Before then hunting was very hard, with people having no choice but to just run up to animals and try to convince them nicely to being eaten. Surprisingly, this proved very ineffective, and everyone was pretty hungry for a long time until someone came up with a more practical solution. Our Bow and Arrow Set is the perfect accessory to use with many different looks. With faux fur and faux leather strips, you’ll still look like a real deal hunter! Just be safe and never point the arrow at anyone! Safety first, even with toy weapons.